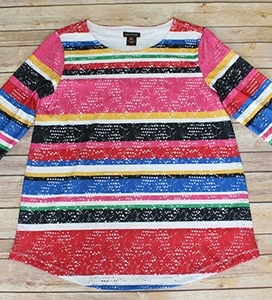 Multiples "South Beach" Multi 3/4 Sleeve Scoop Neck Print Open Work & Solid Knit Top. Fabric 93% Polyester & 7% Spandex. Machine Wash Delicate.